Everyday that we awaken, we have the power to create our reality. Every reality that we experience once began as a mere thought, perception, idea about what is and what we hope will be. No matter what energy space each idea originates from, if persistently held as a truth within the believer, it will manifest itself as a physical reality. This concept is what I have accepted as a truth for me. Therefore, I am constantly in the process of unlearning and rejecting any and every thought form that no longer serves me and my grandest vision for my life, as well as the lives of those that I love. 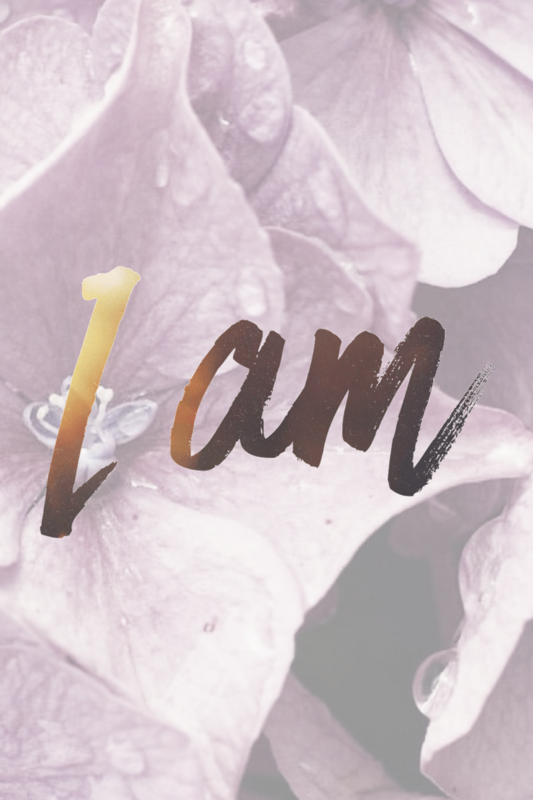 In learning the power of the words “I AM” which is the name of GOD according to Jewish and Christian teachings, I now understand my true power on Earth and in spirit. We are creators. We are constantly creating, in every moment, hour, minute, second of everyday… and in every way. Our creations are either formed out of love or out of fear because our thoughts originate out of either love or fear. As part of our spiritual contracts with the Divine, we were each sent here to teach life and those that we encounter the truth of what we always have and always will know in spirit. We each were sent here to embody the truth from every aspect of TRUTH in and of itself. Truth is that which reigns as solid and constant for the believer and his vision of his highest self. When we declare that which “I am…” as the beginning statement of our truths, we are beginning to manifest all that comes along with that truth so long as we persistently hold it as a core belief. This is because the mere vibration or energy of “I am” acts as a co-creator in all that we experience. Whether or not it is an idea that we truly desire is never a factor. The only determining factor of its manifestation is that we consciously hold it as a core belief, good or bad. We create our realities, we create the circumstances of our lives, and we collectively create our world. Through the power of “I am“, we are constantly declaring that the God in our lives will manifest whatever it is that we consistently hold to be true. If you believe things like, “I am poor” and “I am not enough”, you are subconsciously declaring that the co-creating God within you is poor and not enough. Therefore, you will likely experience more and more evidence of this. On the contrary, if you believe things like, “I am deserving” and “I am unstoppable“, you are declaring that the co-creating God within you deserves all that you seek and cannot be stopped in the achievement of these things. As the Law of Attraction works, you will bear witness to the evidence of the manifestations of these truths as well. The more we consciously believe in the goodness of who we are and of the roles we play in this world, the more we will experience more goodness. As I continue to evolve, I constantly challenge myself to release anything whose origin is not love. We all have experienced the differences between the two worlds. Fear feels chaotic, out of control, and gives us anxiety. Love, on the other hand, feels calming, soothing, and puts us at ease. Why not actively participate in our experience here on Earth rather than inactively observing all that goes on? As I challenge myself to live life from a space of believing in the goodness of who and what I am, I openly challenge you whose eyes have graced these words to do the same. Those things which I believe within for myself, I extend to you. I know that these things will come to pass for you because of the space from which they come from within me… That is the space of LOVE because I AM.